Welcome to the first of these tag-team posts with Todd and myself. We will be kicking off with a great question from Stuart Webb about adhesives & removers. We have a free podcast and a PDF download for you on this too – scroll down to the bottom of this post for the links! There are a number of adhesives and removers designed applying prosthetics to skin, and it can seem confusing when you start looking. They have different names, ingredients and come in varying quantities making the possible combinations of what to buy overwhelming. Although they are more readily available, it is worth pointing out that Spirit Gum (in it’s standard form) and Liquid Latex are not serious contenders where prosthetics are involved. These old-school adhesives are okay for some things, but they are they often irritate skin the most, and have relatively weak sticking power so for the purposes of this blog post, we won’t include these. Check this video on doing a simple cut effect using wax with spirit gum to see it in action – it’s about the only thing I would use it for. Water based acrylic emulsion adhesives: These are great for sticking latex, foam latex, gelatine and silicone appliances which have a cap plastic barrier. They tend to be less expensive so are great for when you are starting out – although they are still great professional adhesives. Solvent based silicone adhesives: These cost more, but stick pretty much anything. Telesis 5. The newer formulas have bigger numbers. Pros Aide – the classic! The very lovely Beta Bond. 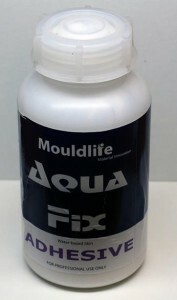 Mouldlife’s Aqua Fix is pretty darn good! To apply the adhesive, some people like brushes, other like cotton swabs(Q-Tips, Cotton Buds etc. ), other like to use sponges. A lot of it is personal preference, although for large areas sponges work great. Cotton swabs work well for small pieces as they can easily be disposed of, and remove the need for brush cleaning and solvents. For larger pieces, I use a large paintbrush in the main, and switch to cotton swabs for the edges. Twirling the swab around allows you to lift and glue the edge in the same smooth motion! Swabs are great for edges, as they can be used in a rolling action, allowing edges to be lifted up by the rotation of the swab. Also, you can use swabs with solvent to dissolve the edges of the cap plastic barrier. Often a little alcohol on a swab allows you to temporarily reactivate the glue so you can reposition a folded edge. The alcohol evaporates, and the edge remains in position, held by the glue which returns to it’s dried state. Some people prefer to apply glue to the skin only, others to the appliance, some do both. Just don’t ever drop an appliance which is covered in glue! When starting out, I suggest you apply to the skin only, just make sure you don’t add too much -this stuff aint cheap, so you don’t need a thick layer at all! If you slap a piece of rubber over wet glue, the air can’t get to it so it can’t dry properly and it won’t stick. This is something a lot of newbies get wrong because it seems so counter intuitive. Let the glue dry before applying? Sounds like madness! Pros Aide is white when wet and clear when dry. It remains shiny and sticky. These glues do not stick when they are still wet. Pros Aide, for example, is very tacky and shiny when dry, and this one of it’s great features. Telesis 5 feels dry to the touch but ‘grippy’ once the solvents have evaporated. However if you press a clean appliance onto it, it sticks. The firmer you press, the better it sticks, and after the piece has been worn for a while, the bond increases slightly as the body heat warms the glue. Bubbles of white Pros Aide can be seen through translucent appliances like silicone. Wet Pros Aide has water in it, so applying gelatine over Pros Aide that is still white means water is in contact with gelatine – another no-no! If you put silicone over wet silicone adhesives, the liquid solvent can’t evaporate and is held against the skin, not drying. Let it dry off, and you will get better adhesion. For areas which get a lot of stretch, wear, movement and maybe moisture such as the mouth, silicone glues are more durable. If the character is shouting a lot, drinking or getting blood everywhere, then anticipating the extra hold required is a wise move. For areas like these, often glue is applied to both skin and appliance and allowed to dry before applying. This method is known as a contact, and can be done with both silicone and water based acrylic glues such as Pros Aide. This can be a tricky manoeuvre because once the surfaces touch, they stick very well straight away. It will need careful unsticking with a solvent such as 99& alcohol should you accidentally place the piece incorrectly. If you were to apply Telesis 5 or Snappy G to two surfaces and leave them for a week, they would still stick amazingly well once pressed together. To paraphrase Lance the drug dealer in Pulp Fiction, “That stuff costs more, but when you use it, you will know where that money went! 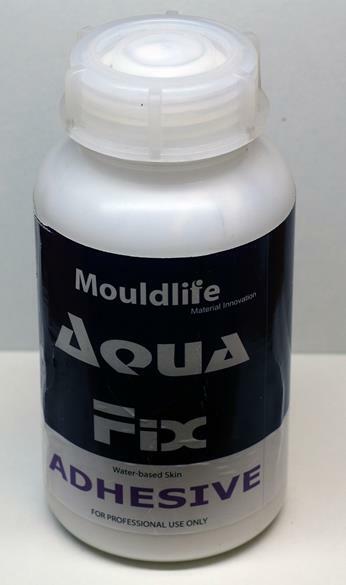 There are a lot more flat moulds and transfer pieces being used nowadays which use a thickened Pros Aide mixture for the actual appliance material instead of silicone or latex. Todds application of a bondo transfer. This material works incredibly well for small appliances, and sticks especially well because it is made of the very material which is used as a glue. If you have ever used it, you may have seen just how tenacious it is, bonding very well to clean skin. Glue removers which work well with Pros Aide will work best on ‘bondo’ transfers. It is worth pointing out that the surface to which the adhesives are applied counts as much as the glues themselves. Pros Aide sticks great to normal skin, but skin ideally needs to be clean, and free of oil, makeup or dirt etc. so they glue can do it’s job properly. Also check and clean appliances to ensure there is no residue of release agents, powder or talc used in the casting and demoulding process. Silicone appliances which have a cap plastic barrier can usually be applied using both types of glue, as the material in contact with the cap plastic surface rather than the silicone gel behind it. This cowl appliance has a Plat Sil Gel 10 skin, not a cap plastic skin! This means I had to use Telesis to stick it rather than Pros Aide. Using an A andB skin meant the appliance was reusable, so this huge chunk of silicone didn’t need to be remade for every application. It instead had fresh, small appliances on the face which overlapped the edges on this one. You can also choose to use a silicone adhesive instead with cap plastic coated appliances if you wish – it sticks very well. However if you are using an appliance which doesn’t have a cap plastic barrier (something like a large overhead cowl appliance for example – see picture) then you HAVE to use a silicone adhesive. If you think about it, silicone appliances are made out of….silicone. Remember moulds get made out of silicone because of it’s amazing release qualities where not much sticks to it. That is a bit of a problem when appliances are concerned, so using a silicone based adhesive designed for the purpose fixes that. These silicone/solvent glues tend to cost more, as the hoops that manufacturers have to jump through to get a skin-safe material out to market mean a lot of extra work. Heat and moisture build up behind an appliance can reduce the effectiveness of a glue. Pros Aide can kind of melt away if there is enough sweat, and I have mopped up many bubbles of milky perspiration from bubbles forming under appliances. This was less of an issue with foam latex as foam can absorb and ‘wick’ out perspiration to some degree, whereas silicone is not absorbant in the slightest. You can also use a glue primer on the skin such as Top Guard which is sprayed or brushed on to provide a perspiration resistant surface which also sticks better to the adhesive. Try to minimise perspiration by keeping the performer as cool as possible and hydrated. Usually this isn’t something you have a whole lot of control over, as heavy costumes, lights and physically active performances are all contributing to the heat build up. Also a trick I learned was to dilute some Telesis 5 with 99% alcohol to make a primer which improves the strength of the glue. Appliances which become loose or unstuck can be repaired quicker with silicone/solvent glues. If you can, clean the exposed area under the appliance with an astringent like Seabreeze to get the sweat and oils off, dry it and reapply silicone adhesive. Often edges in a certain area will continually pop up no matter what you do. In this case you should be able to restick the edge down without more glue being added. There comes a point when simply adding more and more glue will not help the situation, and it could turn into a gummy mess. Silicone glues usually can be restuck just with pressure. If applying over hair, it may need flattening down first. Arm hair for example is usually thin enough to stay down with the glue used to apply the appliance, but eyebrows may need gluing down flat first. If gluing into and over hair on the head which often happens when forehead pieces creep over the hairline, it may need sticking down with something like Gafquat first so the volume of hair is pressed and held down as flat to the skin as possible before applying the glue and the piece over the top of it. It is important to check that the adhesives you intend to use are suitable for the person wearing them. So long as you use products intended for skin use from an approved manufacturer (you may not use paint stripper or turpentine from a hardware store! ), there is unlikely to be any serious problems, but it makes sense to check. Most performers will be aware if they react badly to something and may tell you, but ideally you would do a patch test at least a day or two before the application is required. By placing a small amount of the glues and removers on the skin for a short time and seeing if any reaction develops over the next 24 hours, you can be more certain of success. Don’t do the patch tests on the face, as if there is any reaction you don’t want it to be something that will make them feel self conscious. Usually the back of the neck and inside arm is a good place to test. Skin reactions and allergies are not the same thing. The skin can react to a material, or more likely it often appears red after the continued rubbing and wiping action. Mild skin reddening after removal is quite common and usually fades after a short time. Irritation which is persisting is different, and you should discontinue use of the materials if his is the case. Allergies involve the immune system, and are much more serious. I have not had anyone truly allergic to the materials used when wearing prosthetic makeups, only irritated with some adhesives requiring us to change products. Allergies need treatment, so be sure to supply all packaging and ingredients to medical personnel. It makes sense to have MSDS (Material Safety Data Sheets) available for any materials in direct contact with the performers skin for the same reasons. Most suppliers and manufacturers will have them available online. Patch testing small amounts in advance can help flag these issues up before you start slapping it all over, giving you time to modify your approach and keep everyone happier. It is not uncommon for people with dry to skin to find that the glues tend to stick better to them than most which can make removal more time consuming and uncomfortable. Depending on how dry, it may be helpful for them to moisturise before application. Also, thinning the adhesives down so the bond strength is appropriately reduced is helpful. In the case of water based acrylic adhesives, a 10-50% solution of water will do it. Silicone adhesives should have their own suitable thinners or solvent available from the glue supplier. By adding a thinner to the glue, you again reduce the strength of the bond to suit. You may need to do some tests to determine how much dilution is required, but by testing small amounts you will save a lot of time later, especially if large appliances are being used. Skin usually secrets natural oils to protect it, so cleaning the skin with a toner or mild astringent will help the glues do their job. Silicone adhesives may be a better option in this case, and even using a primer like Top Guard for more severe case. When it is time to remove the appliance, you need to get the remover on the glue. It sounds like an obvious thing, but I have seen people futilely brushing remover on the outside of the appliance, hoping it would just soak through and magically fall off. Mrs Doubtfire has a lot to answer for – it doesn’t just fall off. If it did, it may do that halfway through a take, so these glues are designed to keep that sucker on there! In the UK, Sherman Labs ‘Pro Clean’ is big. Todds personal favourite & remover of choice. This is often an issue in makeup schools where appliances may only be worn for a short time before being removed. The glues are at full strength, having not been perspired into by a sweaty stunt performer for eighteen hours. First, make sure you have covered costume or clothing with towels, cape or paper roll of some type. This is usually then end of a long day, so removal is happening when you may be at your most tired and ready to get to bed. Make sure the sloppiness and spills are protected against before you start. If your edges are still blended in well, you may need to encourage them up by wiping remover over them using a cotton-wool pad. These work well at gripping the edges, allowing you to then work into the piece with a dedicated brush. Work remover into the skin, getting under the piece and lifting the appliance off as you go. Try to not ‘pull’ the piece off – you may get a performer who like to tear it off heroically at the end of the day. Well, the glue is still there, so no real time has been saved. Saline ampoules for easy eye rinsing. Take care near the eyes – I think it is a good idea to keep tissues and eyewash on standby should some remover accidentally get into the eye. I think the quicker the better so if you can get help during removal then do so. For big appliances get as many involved as can comfortably fit around them if you can. Also, if your performer is happy to the have them hold a cup of remover for you near the appliance. They probably want out more than you do, and it saves you from moving back and forth constantly to dip your brushes. Plus it reduces the chance of knocking the cup over too. You will almost certainly destroy those beautifully thin edges of the appliance during removal. This is just a consequence of thin edges being stuck to skin, and can’t be avoided. I mean look at this…once a feather thin edge appliance and now after removal it looks like bacon. Foam latex may absorb remover, so be sure to apply it onto where the skin is attached to the appliance, as the foam may soak it up instead. Foam has a tendency to swell and distort with removers too, so often it helps to tear off large unattached sections especially if they flop about and get in the way. With cap plastic encapsulated appliances, it is not uncommon to find that the cap plastic peels away from the silicone. 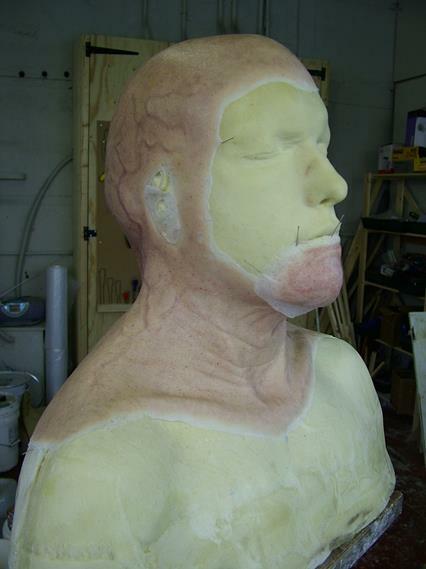 Essentially, the plastic may just be bonding better to the skin that the silicone. Because cap plastic is so thin and clear, it may not be obvious so ensure the remover gets under the appliance and onto the skin where the remover can work on the glue to unstick it. After the bulk of the piece is off, hot face cloths work wonders to loosen remaining glue and feels fantastic after a day under makeup. Hot water can be used to soak the face cloth first, and then be twisted to dry. However, heating a damp cloth in the microwave works wonders too. Just be sure to check the towel isn’t so hot that it can cause burns – wave it around and allow it to cool to a sensible temperature. If it is too hot on your hands, their face is probably going to feel the same! A good skin cleanser and moisturiser work well as a final flourish to help skin recover from a days prosthetic makeup wear. 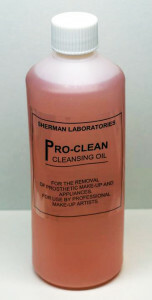 Most prosthetic glue removers have some kind of oil content, and this greasy film can be removed afterwards using a cleanser or from simply washing the skin as normal. If the makeup has to be applied many times in a row, you need to take care to reduce irritation as much as possible. This may mean taking rest days, thinning the glue down and using good moisturising and face creams. 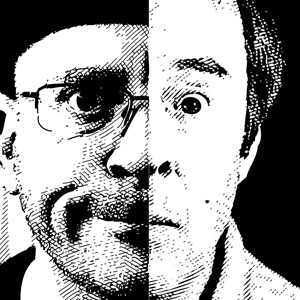 Most appliance makeups are wanted once or twice, but regularly appearing characters may well need to have rest days from prosthetics as part of their routine. 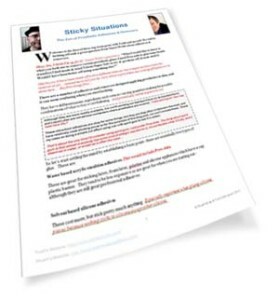 We also did a free podcast and notes on this blog post. Click on the links to download and save these, and please do comment below so we can get feedback and do this better. Remember, if you have a question you want to see made up into a post then be sure to get in touch: stuartbray@yahoo.com is my email or ask below in the comment box! I have a liitle pot of Pros Aide Cream that wasn’t sealed at all and I didn’t notice it until I got it home. After I opened the little pot, the cream didn’t look creamy at all and was up the side, like it was knicked over during shipping to the supply store. I poked and digged with the wooden end of my brush and it acted as if it was a mostly cured liquid pros aide. It was extremely gummy and stuck more to itself than even my brush. This is my first purchase of the cream, is this bad and unsalvagable? Do you think is there any chance to clean drop of sil-key from clothes? I bought a heat-molded leather mask off Etsy for a comic convention and attached it to my face using Pros Aide. I had no issues getting it off my face after 8+ hours of wear, but I have found it impossible to remove it from the mask (even with Pros Aide Remover). I have soaked the sticky side in the remover for 3 hours and attempted to rub/scrape it off but it’s kind of futile. Is there a better way to go about removing adhesive from leather appliances for future uses? Try baby oil or even olive oil. 99% alcohol works best for that. I’m directing a high school production of The Witches in which the actors need to remove wigs on stage, exposing their bald heads. What would you recommend for the best type of bald cap to cover girls with long hair and an adhesive that will hold up to a wig being pulled off? I am considering using pros aid for sticking a small lip prostetic, as it will have to be glued to the lips. Can you tell me what’s the drying time ? Is it likely to irritate the lips? hi, do you know where you can purchase pro clean in the USA or Canada? Not sure of any US distributors but maybe Frends or Motion Picture FX. There are so many removers which we use in the UK imported from the States though, I’d use Super Solv or Bond Off. Didn’t’ see an answer to Mike’s earlier question from 10-2016 and I have the same issue. Pros-Aide is now a creamy paste; what can I use to thin it? If it has thickened it is because water has evaporated out so just add more (distilled) water – or fresh Pros Aide. I’m looking sticky silicone reusable will not set or dry. Hey – that sounds like the Holy Grail of prosthetic adhesives. I think any adhesive which is always tacky will stick to things you’d rather it didn’t, and attract dust and dirt. Reusable toilet paper is a great idea but impractical, much like that kind of glue would be. I’ve seen someone lift a similar issue but they used a different adhesive. I’m a beginner at prosthetic and did two pieces (burned skin on the right side of the face and a set of Milana inspired jawpieces)…Now since those were made using 3rd degree (and poymorph for the teeth on the jawpiece) I was directed toward using Spirit Gum to glue them, now both ‘client’ sweat and I encounter lifting problem as well as trouble sticking the edges correctly. Am I using the wrong adhesive? Should I use a perspiration blocker underneath the prosthetic? What is the optimal drying frame for Spirit Gum? I have never heard a success story with Spirit Gum for a prosthetic. 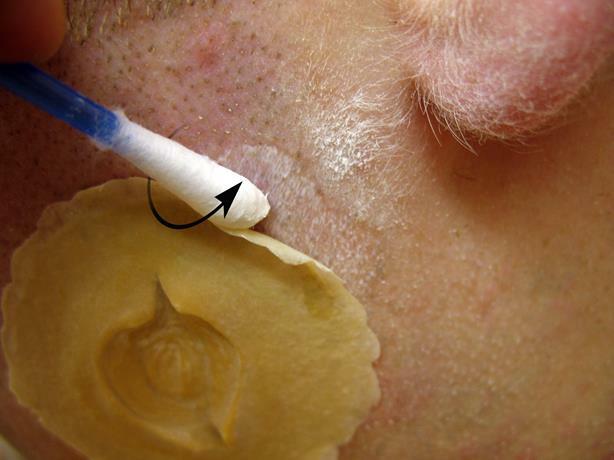 I have always used either Pros-Aide or Ben Nye Prosthetic Adhesive – MAKE SURE it is dry before applying to the skin. Kryolan (a little pricey) or Mehron have a great skin prep and I highly recommend using either but please don’t think it will alleviate a heavily sweaty client – remember, it’s still a human being and sweat is inevitable 😉 – the prep will help though! I have to make a ultra realistic full face mask to a man who want to walk in public and look natural all day. I’m asking myself about the directives i may give him to make sure it won’t pell. They aks me twice to make sure his mask won’t be reveal. SO… do i must give him a little toolkit of adhesive, astringent, etc… Or should i do a full head and chest mask? What do you propose for the durability and the realisitic needs of this look? I have an old bottle of pros aid, it is now a creamy paste instead of the liquid it was when I bought it, I need to use it for a foam latex prosthetic and don’t have enough time to order more. Can it be thinned out with water to liquid it again or something else? What is the ethical/safe way to discard spirit gum and spirit gum remover? I imagine take to a recycling centre and dispose as one would any chemical. Most likely, landfill is the place where they would put it though. It’s a good question, and one of the ever present growing pressures on a physical material with a shelf life and a footprint. I imagine nobody thinks twice about discarding tissues or cotton wool which is filled with glue and remover waste which is the same thing. Each item, an object to cast shadows over time. Thanks for all the good advice here…….. I will act on it! I make prosthetics as a hobby and yesterday used spirit gum to apply my latest creation to myself……. ( A rough and fast job) It started to fall off within 45 minutes, which wasn’t a problem as happened as I only wanted some photos, but one should really use the correct stuff! Ha ha , yeah, that damn spirit gum is a not usually a good choice for flexible appliances. Still, you have to try it to know that for sure. Would you believe they are still teaching it on some courses? You mention preventing spillages…. Well, we managed to get a WHOLE bottle of water based adhesive on a costume. What suggestions do you have? best way to remove adhesive from a costume is dry-cleaning fluid or Naphtha . I’m in a production of Beauty and the Beast (playing the Beast) and the make-up artist is using Third Degree and Telesis to form the piece on my chin but with singing, smiling (in act 2) and sweating, we are in a constant battle to touch it up throughout the show. I wish there was something else we could use that would make the piece stay on VERY well so I don’t have to worry about throughout the performance. Any ideas? Hi Scott. The main issue with Third degree or other silicone pastes is that they are not typically soft enough to be able to keep up with the flexible skin. Like a band aid popping off a bent knee or elbow, the skin is so much more flexible and stretched in use that the pieces need to be as soft as the skin on which they sit. To have a ‘stiffer than skin’ appliance means the bond of any glue is heavily tested, and sweat will only help to undo the effects of adhesive making it come away. The Telsis glue you mentioned, is it 5, 7 or 8? I ask because PPI have an acryic adhesive called Beta Bond which confusingly has the word ‘Telesis’ on it – that isn’t going to bond to a silicone surface such as Third Degree. If Telesis 5, 7 or 8 won’t do it, then the glue isn’t the issue. Is glue being used elsewhere but successfully on the makeup? Some skin’s just don’t adhere well and need cleaning and prepping more than others. A mix of 1:1 alcohol and Telesis can be used as a primer on the skin first, applied where the piece sits (and slightly beyond), allowed to dry fully before gluing the piece on with straight Telesis. Apply to both surfaces and allow it to dry thoroughly before applying. If the piece is made larger so it has a larger surface area to attach to the face then that may help. Ideally though, Third Degree isn’t a good choice for an extensive thing like this – a premade appliance made with softer silicone would be best. An A&B skin (as opposed to cap plastic) would make an appliance much more durable and withstand multiple applications. Can you help me? I am a henna artist that has discovered the world of stunning freehand glitter tattoos. The glue I’ve been using (Moonlight) stays on the body for around three days to a week, the texture is thick like henna and is perfect for line drawing but to fill in the inside of the design takes forever. I need a thinner body glue to dip a brush in and cover an area quickly. Pros Aide or Telesis are probably the best. Not sure how large flat areas will look after a few days, as the skin oils which naturally are created by the body will start to undo the glue from underneath. Amazing guys thank you for sharing it makes such a difference! Thank you for this wonderful post ! So much to learn here, I’m used to Pros-Aide but not to most of the other glues you mention. Great intro to all things sticky. Very good information and entertainingly presented.